Mildred “Neoma” Lashbrook, 90, of Princeton passed away Saturday, February 2, 2019 at Gibson General Hospital. She was born August 27, 1928 in Princeton to the late Robert Tewell and Bessie (Griffith) Tewell. 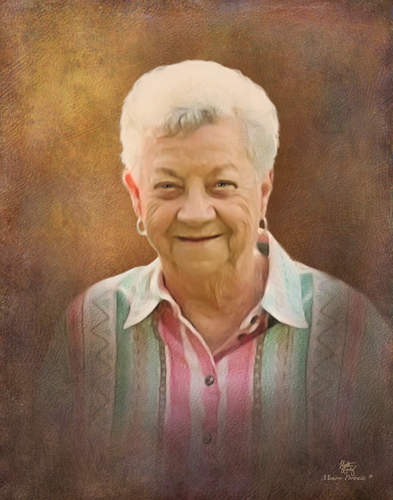 Neoma attended the Francisco United Methodist Church and was a loving family woman. She will be missed by all who knew her. Mrs. Lashbrook is survived by her husband, Tom Lashbrook; daughter, Melody Embrey (Roger); step-children, Roger Lashbrook (Rexene), Tim Lashbrook (Rene), Dan Lashbrook, Suetta Loesch (Richard) and Ann Ice (Mike); daughter-in-law, Elaine Gatewood); grandchildren; great-grandchildren; and great-great-grandchildren. She was preceded in death by her parents; daughter, Connie Mounts; son, Mark Gatewood; grandson, Kevin Gatewood; 4 brothers; 1 sister; and her first husband, Paul “Bud” Joseph Gatewood. A funeral service will be held at 1:00 PM, Wednesday, February 6, 2019 at Colvin Funeral Home in Princeton with Reverend Rick Lance officiating. Burial will follow at Columbia White Church Cemetery in Princeton. A visitation will be held from 11:00 AM until 1:00 PM, Wednesday, February 6, 2019 at Colvin Funeral Home. Memorial contributions may be made to Francisco United Methodist Church. Envelopes will also be available at Colvin’s. You may leave a message of sympathy or light a candle in memory of Neoma at www.colvinfuneralhome.com. Colvin Funeral Home is honored to serve Mildred “Neoma” Lashbrook’s family.